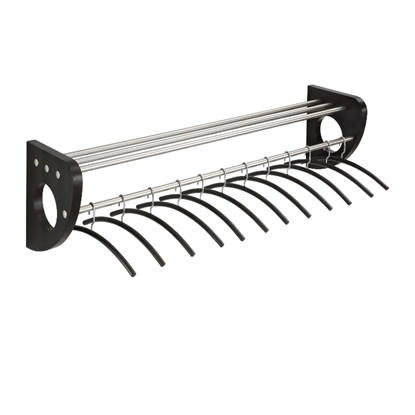 Keep your reception and office areas tidy and organized by providing coat racks for employees and visitors. 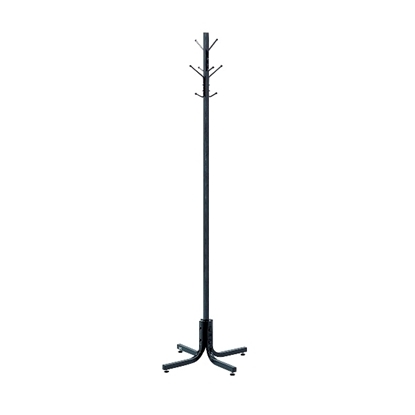 Furniture Wholesalers offers Free standing coat racks which allows you to easily move the coat rack to any desired area of your office. Choose from durable metals to executive wood finishes. Dress up your guest area with this freestanding costumer which features four double hooks that securely hold up to eight garments. 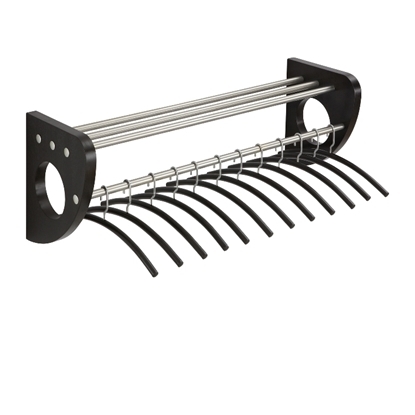 Steel hooks have ball tips to prevent damage to garments. Wide 21" base provides stability. Make a great impression with your guests rain or shine! 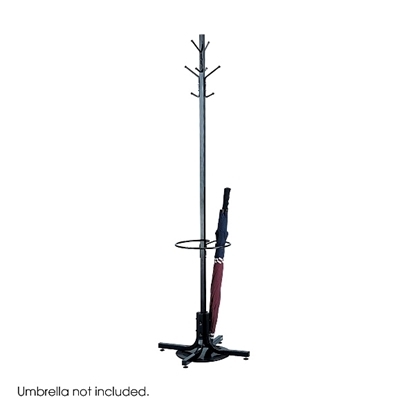 Make sure each guest has a place for their hats, coats and scarves. 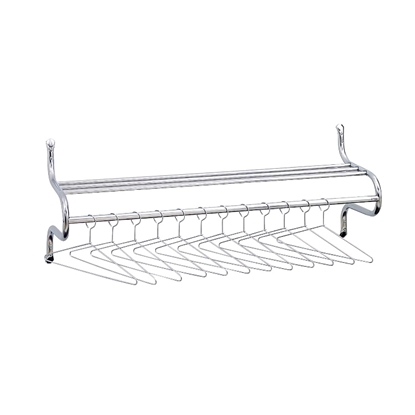 This coat rack can greet guests in your reception area, lobby, office, waiting room, training center, conference room or classroom. Now all your guests will feel like they're at home. 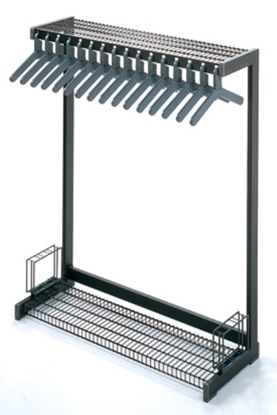 Magnuson Office Rak provides space saving storage for a variety of items at a great discount price.